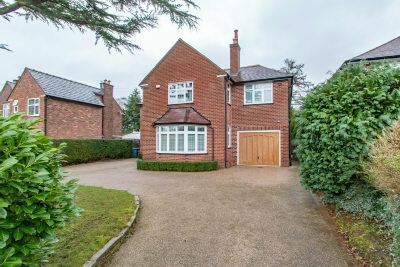 An enormously attractive, traditional Detached family home with superbly appointed family accommodation arranged over Two Floors, extending to 2400sqft and standing on a wonderful, mature Garden plot of approximately 0.25 of an acre. 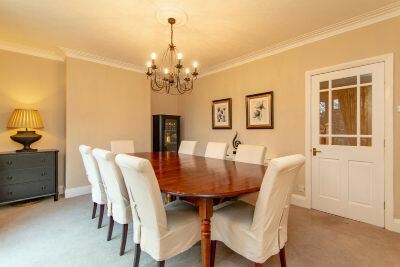 The property has a most appealing facade, complemented by the 'In and Out' Carriage Driveway and has attractive, triple glazed, leaded windows in keeping with the style of the property. 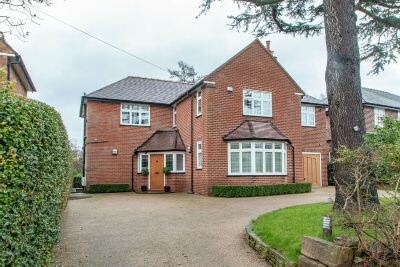 Updated and improved with excellent specification Kitchen and Bathroom fittings, and in particular the property features a custom built Martin Moore Kitchen. 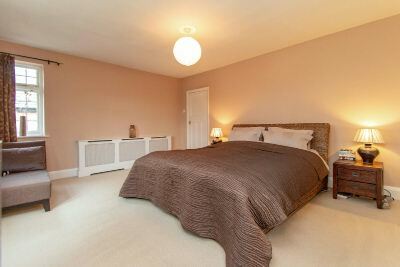 There is good use of LED lighting and the rooms are all superbly proportioned throughout. 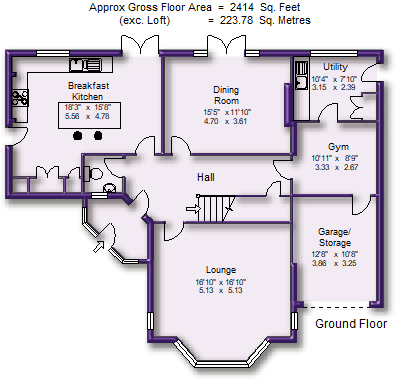 As is stands the property offers excellent family accommodation with Two Reception Rooms to the Ground Floor in addition to a Breakfast Kitchen and Utility Room and has Four Bedrooms to the First Floor, served by Two Bath/Shower Rooms, including a Principal Bedroom Suite of Bedroom, Dressing Room and En Suite Shower Room. 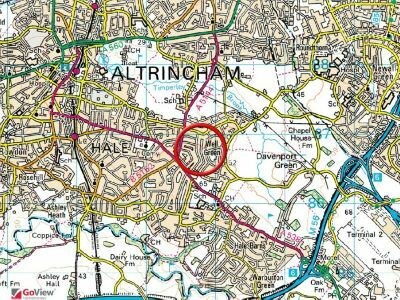 The location is ideal, midway between Hale and Hale Barns Villages, within easy reach of the M6/M56 motorway networks and within catchment of the local Grammar Schools. 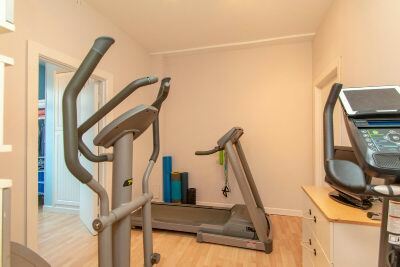 In addition, there is substantial Loft Space providing enormous potential to convert to provide at least a Fifth Bedroom if not more, subject to any necessary consents. 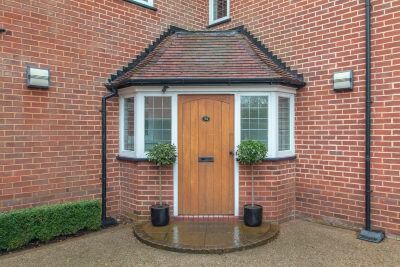 Wood panelled Entrance door with leaded side windows to Porch with quarry tiled base. 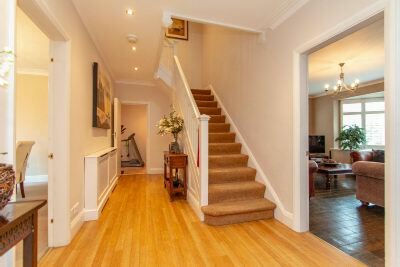 Pained door to the Hall with Amticao flooring throughout and having a staircase leading to the First Floor. 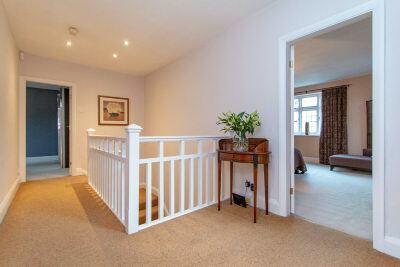 Panelled and glazed doors give access to the Ground Floor Accommodation. Under stairs cloaks and storage. 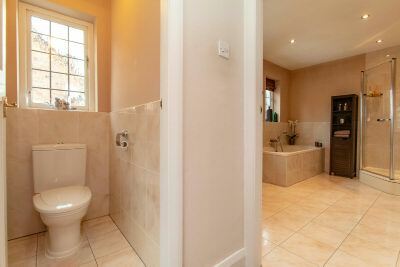 Ground Floor WC fitted with a white suite and chrome fittings. Leaded window to the front. 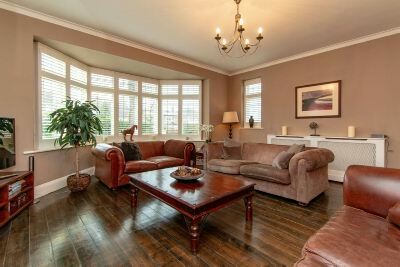 Lounge, a beautifully proportioned room with natural wood flooring and having a wide angled bay window to the front and two further side windows. 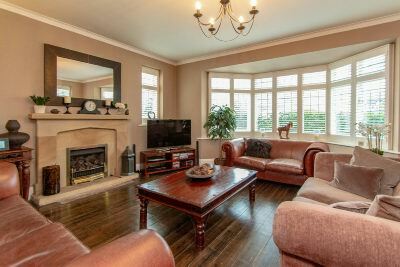 York Minster stone design fireplace surround with inset living flame fire. 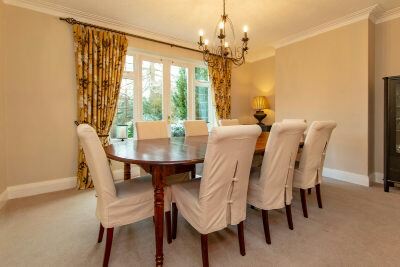 Dining Room with French doors and windows giving access to and enjoying a delightful aspect of the Garden. 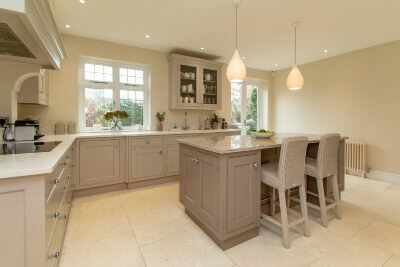 Breakfast Kitchen, fitted with a beautiful range of hand-painted units by Martin Moore finished with Caesarstone worktops. 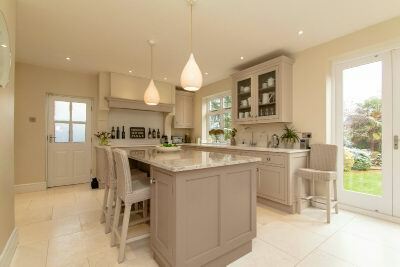 The large central island has a granite top and incorporates breakfast bar seating space, storage and an integrated Neff fridge for drinks. There is an attractive mantel feature over a Neff 5 ring induction hob, with a concealed extractor. 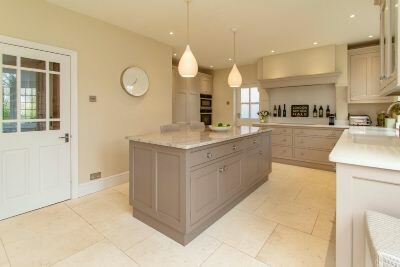 Other appliances include a Miele stainless steel oven and matching combination microwave oven, an integrated Miele larder fridge and a Neff dishwasher. 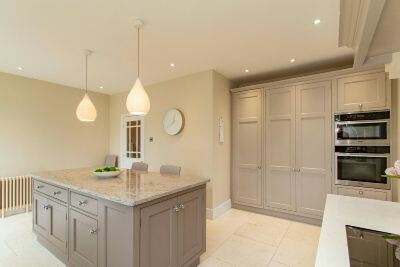 There is a tailor-made double sized larder with deep shelving, integral lighting, door racks and wine storage. In addition, there is a double wall-mounted glass fronted display unit. 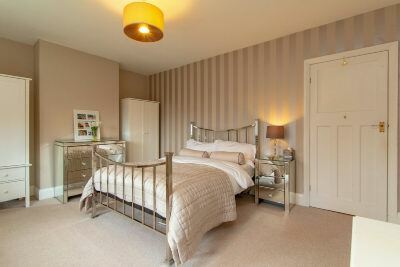 Vintage style radiator, plus There is large format limestone tiled flooring throughout with underfloor heating. 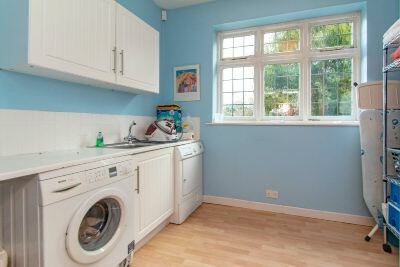 Utility Room, with window to the rear, a door outside, built in base and wall storage cupboards, sink unit and space for washing machine and dryer. 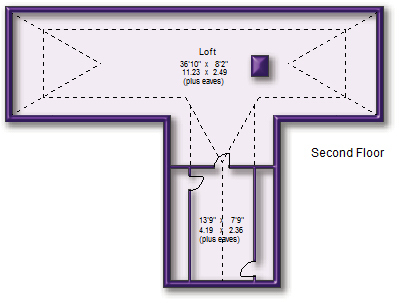 First Floor Landing. 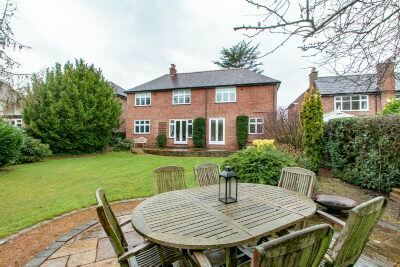 A particularly spacious Landing with windows to the front and doors giving access to the Bedroom Accommodation. 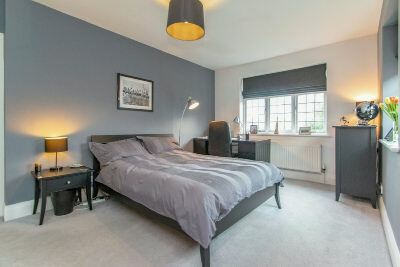 A pull down ladder gives access to the substantial Loft, which offers enormous potential to convert into additional Bedroom space, subject to any necessary consents. 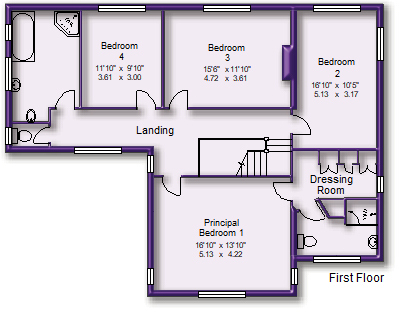 Principal Bedroom One with windows to the front and side elevations and with a door leading through to the En Suite Dressing Room, with space for fitted or freestanding furniture. Window to the side. 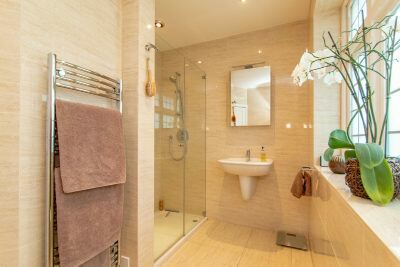 Door to the En Suite Shower Room, beautifully appointed with a white suite with branded fittings by Villeroy and Boch and Hansgrohe, providing a shower cubicle, wash hand basin and WC. Extensive tiling to the walls and floor. Window to the front. Chrome ladder radiator. 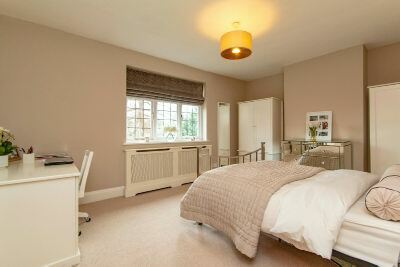 Bedroom Two with windows to the side and rear enjoying a rear Garden aspect. 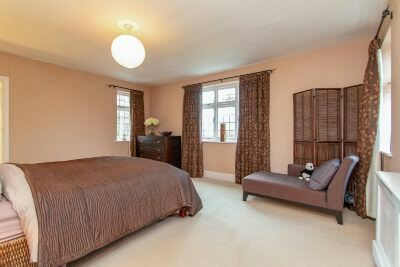 Bedroom Three with a lovely rear Garden aspect. 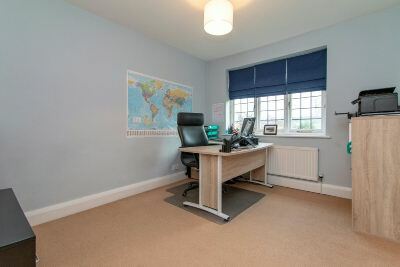 Bedroom Four, currently utilised as a Home Study with a rear Garden aspect. 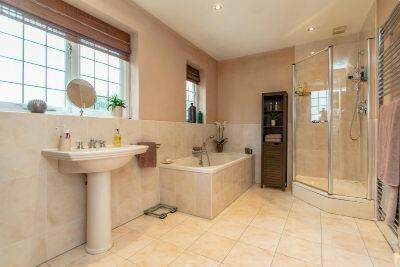 Family Bathroom fitted with a champagne coloured suite with chrome fittings, providing a double ended bath, enclosed shower cubicle with thermostatic shower, wash hand basin and bidet. 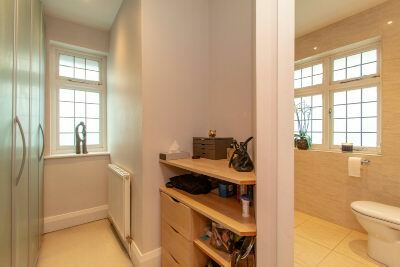 Extensive tiling to the walls and floor. Two windows to the side. 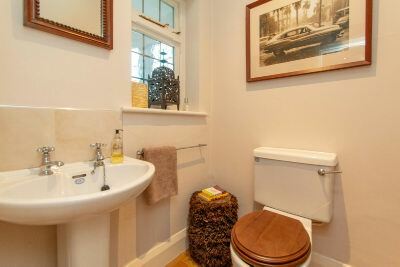 Separate WC with a matching suite and tiling. Window to the side. 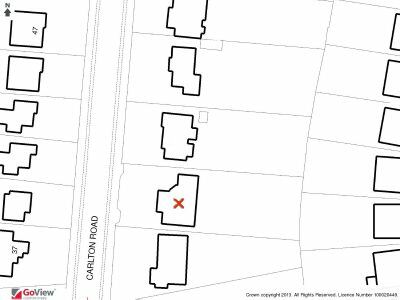 Externally, the front of the property is approached via a Carriage 'In and Out' Driveway providing extensive off street Parking and in turn leading to the Integral Garage, reduced in size to create storage. 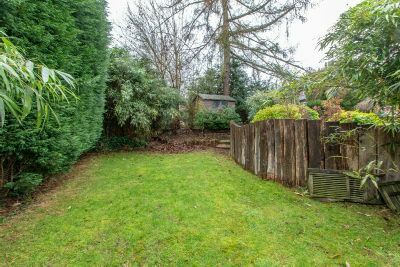 The property stands on a beautiful, mature Garden plot extending to approximately 0.25 of an acre. 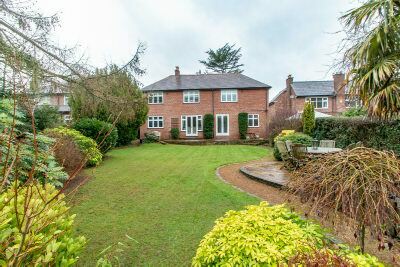 The front having an area of lawn retained within privet and laurel hedging. 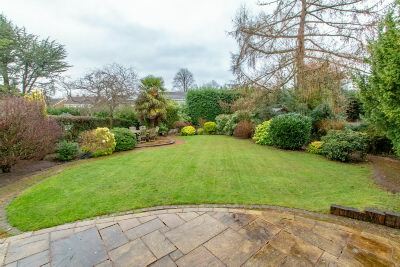 The Garden to the rear has a stone paved path and patio area returning across the back of the house, accessed via the French doors from both the Dining Room and Breakfast Kitchen. 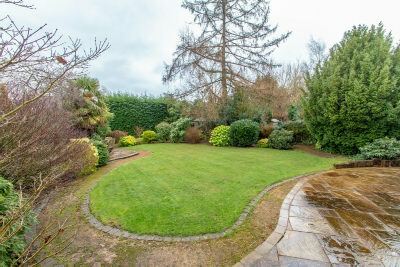 Beyond, the Garden is laid to a deep shaped area of lawn with maturely stocked borders of shrubs, bushes, trees and plants. 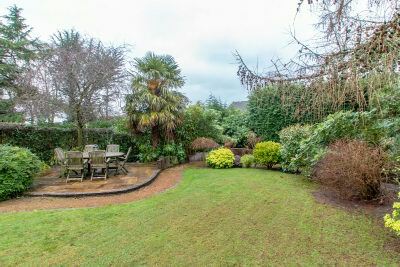 There is a centrally positioned patio to maximise the South and West facing afternoon and evening sun and a further lower Garden Area to the far end of the plot, ideal for a children's play area and trampoline. 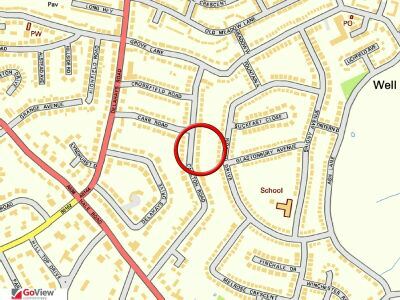 There is a most attractive outlook across mature trees within the boundaries of this and neighbouring properties. 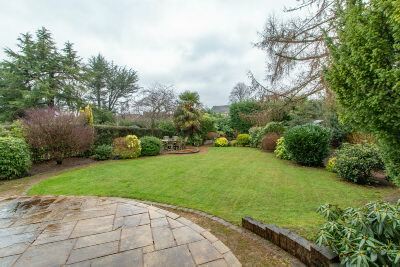 This lovely Garden completes a First Class Family Home.